The European Union builds up an economic alliance with most of the countries across Europe. This union develops and passes guidelines for individual countries to build their rules and regulations relating to the consumer market and its products. The European Union stated guidelines for vaping laws across countries, who are part of this pact in 2014. Prior to that, there were no clear regulations and every country had their own understanding of these guidelines. The European Union has since then listed electronic cigarettes as tobacco products. This is done under the Tobacco Product Directive body of this pact, which has standardized the tobacco sale rules all across. This trend has been continuing through different continents of the world and is largely because of an international tobacco company lobby which does not want other products competing with them. Below are listed laws on vaping within the European countries. Armenia’s government has been undergoing discussions on prohibiting electronic cigarettes and vaping products as a whole. However, products aren’t available in the consumer market, to begin with. Online sources claim that people have had a hard time looking for their supplies throughout the country. This leaves Armenia’s laws on vaping ambiguous. Prior to 2015, electronic cigarettes and other related products were categorized as medicinal products. However, this regulation was outlawed by a court and was claimed unconstitutional. With the beginning of 2016, authorities and law makers issued a new set of rules, which are much stricter and even prevent advertising of these products. The ministry of health now requires approving vaping products before they are issued within the consumer market. Belgium legalizes the sales, purchases, and usage of electronic cigarettes and vaping products. Import of vapor supplies and devices is allowed with the consent of authorities, making it a much simpler process. The laws within the country are simple, any vaping product can be issued to individuals over the age of sixteen, vaping outside of smoking areas is not allowed and e-liquid bottles must come with warning labels in French, Dutch and German languages. France’s new health ministry has been strict about electronic cigarettes and vaping products. This may constitute France to stick to all the guidelines provided by the Tobacco Product Directive of the European Union. However, a public hearing in 2016 constituted a report that stated vaping products to be safer and less risky alternatives to tobacco products. Legal challenges to the directive were also posted by advocacy groups in France. However, which way the country laws will bend, only time will tell. The Tobacco Product Directive guidelines are very strictly followed and obeyed in Germany. Electronic cigarettes and products related to vaping are accessible all across the country, the sales, however, are limited to a legal age group, which is at least eighteen years. Germany follows the TPD regulations. E-cigs are easy to find, but sales are restricted to consumers 18 and up. As one of the more progressive nations in the EU, Germany continues to allow the e-cigarette industry to operate in their country, despite the looming EU vaping regulations. Greece follows all the guidelines provided by the European Union Tobacco Product Directive and has further imposed laws, which include permanent bans on vaping and using electronic cigarettes in public and furthermore limiting sales of these products online. Italy does follow the Tobacco Product Directive standards, however only to a minimum requirement. Prior to 2015, e-liquids and related products carried heavy taxes, since then a court outlawed this rule and labeled it as burdensome taxes, considered unconstitutional. This holds good news for vape product users because the product prices are much lower and much more accessible. The rules and regulations as to where you can vape depend from place to place and should be considered. Netherlands expands upon the Tobacco Product Directive’s regulations. These laws give mixed signals, however still are beneficial for the consumers. As per the European Union guidelines, the advertising of these products is officially banned, however, vaping is legal and permitted in public places. Customers who wish to test their e-liquids prior to purchase can pay 0.10 Euros to shops they are purchasing their supplies from and test the liquids too. Poland follows similar rules of vaping as the United States. Vaping in public is a total no-no and should only be restricted to smoking areas. Advertising of these products in any way is a total ban. The vape product market in Russia is very popular and established. This is also because Russia is not within the European Union pact. The country’s ministry of health has recently been trying to impose laws on prohibiting vaping within restaurants, cafés and bars, however within Russia; multiple cities house “Vape Cafés” which is an ideal spot for vaping individuals to group together. Currently, vaping in Russia is not considered harmful, however, if the local governments decide to change the regulation criteria to treat electronic cigarettes as tobacco products, it may change the landscape and impose more restrictions on these products. Spain from mid of 2017, endorsed the Tobacco Product Directive guidelines for vaping. This has changed the regulations and rules within Spain quite a bit. All shops are restricted to filling e-cigarette tanks more than 2ml and no e-liquid bottles being sold can exceed 10ml of filling. All public areas ban vaping and it is only permitted within smoking areas. Vaping is not permitted within even indoor areas that are public and include restaurants and hospitals too. Turkey has a more liberal mindset towards vaping laws. The country is not a part nor considering the European Union guidelines or codes of conduct. Indoor public vaping is prohibited under any circumstances, but apart from that, there haven’t been complaints that suggest heavy consideration or taxation on vaping products. 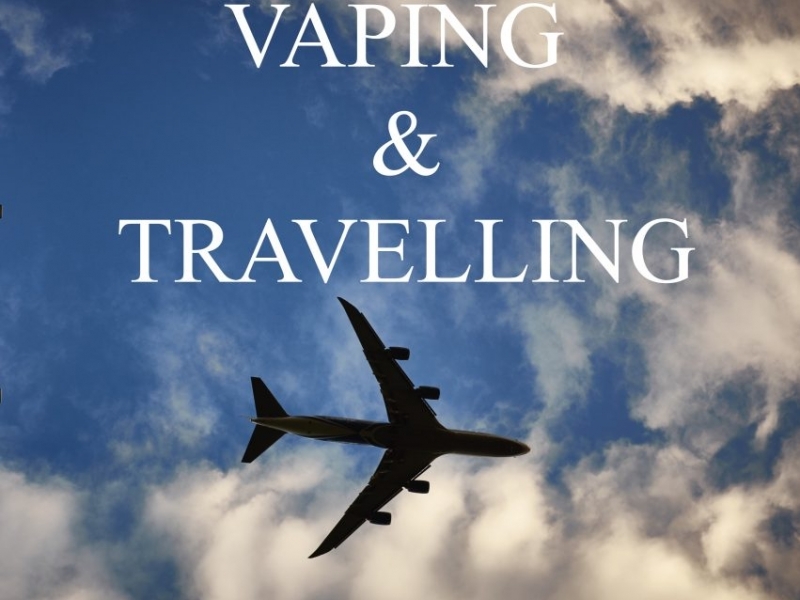 Travelers have claimed to have absolutely no troubles with customs while carrying vape mods, electronic cigarettes or their supplies while travelling to Turkey. The United Kingdom holds a very broad mindset when it comes to vaping laws within the country. The UK is already in the process of withdrawing itself from the European Union and hence they neither have to nor are they complying with the guidelines provided by the Tobacco Product Directive of the union. The rules within the European Union aren’t as strict, hence custom passes from country to country within the pact are much simpler and carrying your vape mods, electronic cigarettes or supplies is much easier. While countries that do not add on to the union, have much stricter custom policies and travelers should comply with them. European vaping laws keep changing day to day, as there hasn’t been a unanimous decision through the countries of the union themselves upon the guidelines, hence it is best to keep an eye for changing rules. Previous Previous post: School and health officials work with students to curtail vaping as e-cigarette..